Kailani Craine is an Australian figure skater. She was born in Newcastle, New South Wales, Australia on 13 August 1998. Kailani started skating when she was eight years old and six years later she first appeared on the international scene in the junior events. In 2014 she participated in Junior World Championship but did not advance past the short program. In December 2014, she won both the Junior and Senior Australian national titles. Though in 2016 she did not manage to qualify past the short program, in 2017 she did and placed 24th overall at the World Championships in Helsinki. She is a four-time Junior and three-time Senior Australian national champion, has won six international medals including the gold at 2017 Nebelhorn trophy where she won the spot for Australia for the 2018 Olympic Games. She is currently coached by Tiffany Chin, Kylie Fennell and Galina Pachina, and is a member of Hunter ISC Newcastle skating club. Larkyn Austman is a Canadian figure skater. She was born in New Westminster, British Columbia, Canada on February 22, 1998. Early on in her career she won the silver medal at novice level at the 2012 Canadian Championships and gold competing as a junior at the 2013 Canadian Championships. Her international Junior debut was during the 2013/14 season when she competed on the Junior Grand Prix circuit, and finished 8th in Tallinn, Estonia. That season she competed at the 2014 World Junior Championships and managed to qualify for the free program, finishing 16th overall. The following season, after placing only tenth at her 2014 JGP assignment in France she decided to quit skating but returned the following year, and managed to finish sixth at the 2016 Canadian Championships. She was 4th at the 2017 Canadian Championships which made her the member of the Canadian National team. She has won the bronze medal at the 2017 International Challenge Cup in The Hague, Netherlands. She is currently coached by Zdenek Pazdirek and Liz Putnam, and is a member of the Coquitlam SC skating club. Alaine Chartrand is a Canadian figure skater. She was born in Brockville, Ontario, on March 26, 1996. She started skating when she was just 3 years old. She debuted in the Junior Grand Prix series in 2012 and participated in 2013 World Junior Championships in Milan, Italy, where she finished eighth, as well as 2014 World Junior Championships in Sofia, Bulgaria where she finished fifth. She debuted on the senior Grand Prix series at the 2014 Skate Canada International, finishing seventh. At the 2014 Rostelecom Cup, she obtained her first GP medal, a bronze. She participated in the 2015 World Championships in Shanghai, China where she finished 11th overall and 2016 World Championships in Boston where she finished 17th. Last season she did not qualify for the World Championships but participated in the 2017 Four Continents Championships in Gangneung, South Korea where she placed 11th. She is the 2014 Rostelecom Cup bronze medalist and 2016 Canadian national champion. She is currently coached by Michelle Leigh and Christy Krall, and is a member of the Prescott FSC skating club. Marin Honda is a Japanese figure skater. She was born on August 21, 2001 in Kyoto, Japan. She is one of five children and with the exception of her sister Maho, all of her siblings are figure skaters and Miyu is also a popular child actress in Japan. Honda began skating at the age of two after following her older brother, Taichi. She debuted on the ISU Junior Grand Prix in the 2015/16 season and won the silver medal at the JGP in Colorado Springs, Colorado, USA. At her second JGP event, in Zagreb, Croatia she won gold which qualified her for that season's JGPF in Barcelona, Spain where she won the bronze medal behind Russia's Polina Tsurskaya and Maria Sotskova. She placed 6th at the 2015-16 Japanese Junior Championships and 9th in the Senior Championships which assured she was named into the national team. At 2016 World Junior Championships in Debrecen she won the gold medal. The following season she qualified for her second JGP Final but withdrew due to illness. She placed fourth overall at her second senior Japan National Championships and was assigned to compete at the 2017 World Junior Championships in Taipei where she was awarded the silver medal. She is the 2016 World Junior champion, 2017 World Junior silver medalist and 2015–16 Junior Grand Prix Final bronze medalist. She set the junior-level ladies's record for the free program to 128.64 points at the 2016 JGP Japan on September 11, 2016. Her record was broken at the 2016 JGP Germany by Anastasiia Gubanova (Russia) on October 8, 2016. She is currently coached by Mie Hamada and Yamato Tamura, and is a member of Kansai University SC skating club. Rika Hongo is a Japanese figure skater. She was born on September 6, 1996 in Sendai, Japan. Her mother is a former figure skater, while her father is British. She began skating at the age of five and at the age of nine moved to Nagoya to train under coach Hiroshi Nagakubo. She debuted on the ISU Junior Grand Prix series in the 2012/12 season where she won a silver medal in Courchevel, France and placed fifth in Croatia. Along with Satoko Miyahara, she was selected to represent Japan at the 2013 World Junior Championships in Milan, Italy where she placed ninth overall. At the 2014 World Junior Championships in Sofia, Bulgaria she moved one place up, eight. Making her senior Grand Prix debut, she finished fifth at the 2014 Skate Canada International. She made her senior worlds debut at the 2015 World Championships in Shanghai where she finished sixth overall. She finished 8th at the 2016 World Championships in Boston. She participated in the 2017 Four Continents Figure Skating Championships as an injury replacement for Satoko Miyahara and finished 10th. She is a two-time (2015–16) Four Continentsbronze medalist, 2014 Rostelecom Cup champion, 2015 Finlandia Trophy champion, and 2014/15 Japanese national silver medalist. Her coach Hiroshi Nagakubo retired this past month and she remains under Yoriko Naruse and Miho Kawaume. She is a member of the Howa Sports Land club. Courtney Hicks is an American figure skater. She was born on December 15, 1995 in Placentia, California, USA. She began skating when she was six years old and won the junior title at the 2011 U.S. Championships. In the 2011/12 season she debuted on the Junior Grand Prix series but sustained a season-ending injury while competing at her second JGP event in Milan, Italy. She placed 4th at the 2013 U.S. Championships and placed 5th at the 2013 World Junior Championships. She made her senior international debut in the 2013/14 season, winning gold at the 2013 U.S. International Figure Skating Classic. After finishing 6th at the 2014 U.S. Championships, she was sent to the 2014 Four Continents, where she placed 5th. She finished 9th at the 2016 U.S. Championships. She has won two medals on the Grand Prix series—silver at the 2015 NHK Trophy and bronze at the 2016 Rostelecom Cup—and two medals on the ISU Challenger Series. She took gold at two other senior internationals, the 2013 Ice Challenge and U.S. Classic. She is currently coached by Todd Sand and is a member of the All Year FSC Ontario skating club. She has not participated in any events this season. Well .... 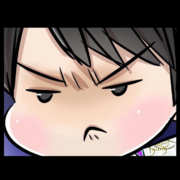 I'd say Marin has made it pretty much impossible for herself to get to the GPF now, what with CoC coming up and the line up there. Of course this will influence the Oly spots fight too, so not the best for her. Pogo completely out as well, and with far more problems it seems. I think it might be a good idea to provide intermediary results now? Do you think Carolina stands a chance to make it to the final? Can Wakaba make it? I though after CoC as that's half way through, though sure why not. I think Caro does but Wakaba is in a bit of a bind with that CoC assignment. Zagi, Mai ... though Marin seems to be taking a typical hit on the PCS due to her first year as Senior, she's also still very much in contention there. I am not sure 3+3 would be enough, we'd have to wait till the end to see how it unfolds. Li Zijun is a Chinese figure skater. She was born in Changchun, China on December 14, 1996. Li debuted on the ISU Junior Grand Prix circuit during the 2010/11 season. At the Junior Grand Prix Final she won the bronze medal, and then finished 9th at the 2011 World Junior Championships. That year she won her first national title. The following season she again qualified for the Junior Grand Prix Final which was held in Quebec City, Canada, where she finished fourth. 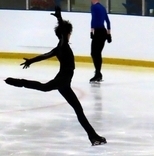 In the 2012/13 season Li debuted on the senior Grand Prix series. At the 2014 Four Continents Championships she won a bronze medal, her first big senior one. She then competed at the 2014 Winter Olympics in Sochi, Russia where she finished 14th and at the 2014 World Championships, where she finished 17th overall. At the 2015 World Championships in Shanghai she finished 9th. She finished 10th at the 2016 Four Continents Championships in Taipei and 11th at the 2016 World Championships in Boston and 21st at the 2017 World Championships in Helsinki. She is the 2014 Four Continents bronze medalist, the 2017 Asian Winter Games silver medalist, 2010 JGP Final bronze medalist, the 2012 Winter Youth Olympics bronze medalist and a four-time (2011, 2012 & 2013, 2014) Chinese national champion. She is currently coached by Alexei Mishin and Haijun Gao and is a member of Jinlin Winter Sports Training Center skating club. She has not competed this season. Zhao Ziquan is a Chinese figure skater. She was born in Harbin, China on December 27, 1997. She made her international debut at the Volvo Open Cup in 2012/13 season where she placed 2nd. She has participated in 2012, 2013 and 2014 Junior Worlds Championships, where she finished 11th, 15th and 25th respectively. At the 2014 Four Continents Championships she finished 15th and at the 2015 World Championships 25th. She is a two-time Chinese national champion (2016, 2017). She is currently coached by Shuguang Jia and Wei Liu, and is a member of the Harbin Winter Sports Training Centre skating club. She participated in 2017 CS Finlandia Trophy where she placed 16th (video: Short Program, Free Skate). This season she participated in ISU CS Lombardia Trophy 2017 where she placed 2nd, and achieved her personal best results in the FS and combined score. She participated in 2017 U.S. Classic International where she placed 1st. Choi Da-bin is a South Korean figure skater. Choi was born on January 19, 2000, in Seoul, South Korea. She began skating when she was four years old. When she was nine, Choi won the novice silver medal at the 2010 South Korean Nationals. Competing on the senior level, she won bronze medals at the 2012 and 2013 Nationals. In the 2013/14 season she debuted on the ISU Junior Grand Prix series and at the 2014 World Junior Championships in Sofia, Bulgaria she finished sixth overall. At the 2015 World Junior Championships she finished 9th. At the 2016 Four Continents Championships in Taipei, Taiwan, she placed 8th. Making her senior Grand Prix debut, Choi placed 7th at the 2016 Skate Canada International and 8th at the 2016 NHK Trophy. She placed 5th at the 2017 Four Continents Championships in Gangneung, South Korea, improving her personal best scores in all categories. Called up to replace the injured Park So-youn at the 2017 Asian Winter Games in Sapporo, Japan, Choi won her country's first-ever figure skating gold medal at the event. She then competed at the 2017 World Championships in Helsinki, Finland and placed 10th while improving her best scores, and won two spots for South Korea at the 2018 Winter Games. She is the 2017 Asian Winter Games champion and a four-time South Korean national medalist (two silver, two bronze). She is currently coached by Eunhee Lee. She participated in 2017 Ondrej Nepela Trophy where she placed 4th and Finlandia Trophy where she placed 9th (video: Short Program, Free Skate). This season she has participated in ISU CS Ondrej Nepela Trophy 2017, where she placed 3rd. She then participated at the Rostelecom Cup where she placed 4th (video: Short Program, Free Skate). Amber Glenn is an American figure skater. She was born October 28, 1999 in Plano, Texas, USA. She made her international debut and won a bronze medal at the 2013 Junior Grand Prix (JGP) event in the Czech Republic and became a national junior champion at the 2014 U.S. Championships. She participated at the 2014 World Junior Championships in Sofia, Bulgaria and finished seventh. After placing fifth at the 2015 JGP in Latvia and sixth on the senior level at the 2015 Skate Canada Autumn Classic in mid-October of the same year, she took a break from skating and then returned at the start of the following one, after a change of coaches. Glenn placed 5th at the 2016 CS Nebelhorn Trophy, 4th at the 2016 CS Golden Spin of Zagreb, and 8th at the 2017 U.S. Championships. She was selected to compete at the 2017 World Junior Championships but withdrew in early March. She has won two bronze medals on the ISU Junior Grand Prixseries and finished in the top ten at the 2014 World Junior Championships. She is currently coached by Peter and Darlene Cain, and is a member of the Dallas FSC skating club. Making that list makes me mad again. Should not have done that. She participated in 2017 Autumn Classic International where she finished 5th. She then participated at the Skate Canada International where she placed 11th (video: Short Program, Free Skate). This season she has participated in the ISU CS Lombardia Trophy where she placed 3rd. She then participated at the Rostelecom Cup where she placed 2nd (video: Short Program, Free Skate). She participated in 2017 CS Ondrej Nepela Trophy and placed 2nd. She has not participated in any competitions this season. She has participated at CS Finlandia Trophy 2017 where she placed 7th (video: Short Program, Free Skate). She withdrew from Rostelecom Cup. This season she participated at ISU CS Ondrej Nepela Trophy 2017 where she won 1st place. She did not participate in any ISU events this season but did perform at the 2nd and 3rd stages of the Cup of Russia, where she placed 2nd and 1st, respectively (video: Short Program, Free Skate). She participated at the 2017 CS Nepela Trophy and finished 7th (video: Short Program, Free Skate). This season she participated in ISU CS US Internat. FS Classic 2017, where she placed 5th. She then participated at 2017 Rostelecom Cup, where she finished 6th (video: Short Program, Free Skate). This season she participated in ISU CS US Internat. FS Classic 2017 where she placed 2nd. She then participated at the 2017 Rostelecom Cup, where she finished 9th (video: Short Program, Free Skate).